Posted: Thursday, May 31, 2018. 11:53 am CST. 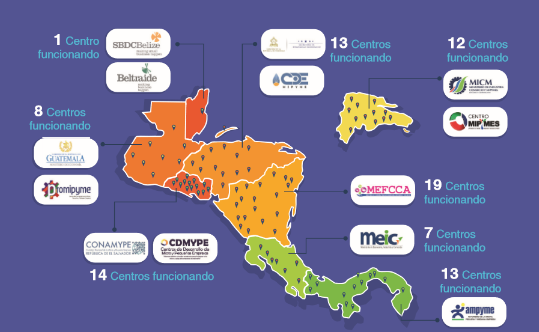 By BBN Staff: Representatives from Belize Trade and Investment Development Service (BELTRAIDE) are in the Dominican Republic participating in a three-day regional meeting of Micro, Small, and Medium Enterprise Service Centers within the Central American Integration System (SICA). The event, which runs from May 30 to June 1, marks the second regional meeting of the MSME Service centers and is being held under the theme “Promoting the digital transformation and innovation of MSMEs”. The Regional Center for the Promotion of MSME (CENPROMYPE-SICA), and the Ministry of Industry, Commerce and MSME (MICM) of the Dominican Republic organized the meeting. The event will gather more than 250 professionals in the area of MSME development do discuss how digital upgrades can benefit MEME’s throughout the region. Belize has only one MSME service center, which is the Small Business Development Center (SBDC) which is a unit of BELTRAIDE.